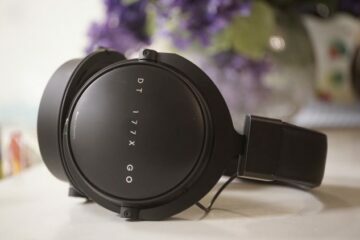 Disclaimer: The 1MORE Triple Driver Over-Ear Headphones sent to us for the purposes of this review is a sample and does not have to be returned. Thank you to 1MORE for giving us this opportunity. We have been covering 1MORE gear for almost 18 months now with both Klaus and Mike reviewing pretty much their entire earphone range with some largely positive feedback. 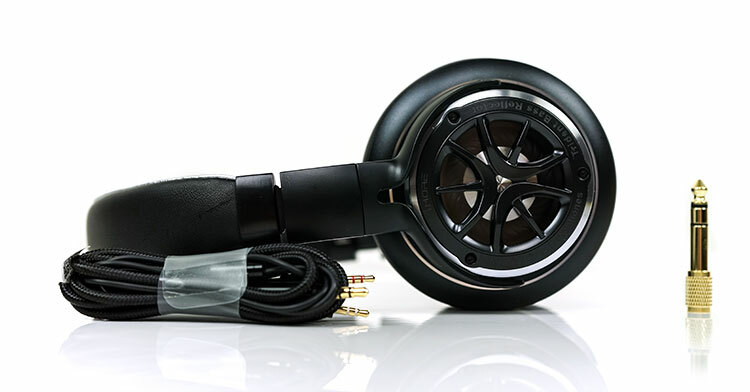 This, however, is both my first 1MORE product review and the first headphone we have reviewed from the 1MORE lineup. And boy what an interesting headphone the Triple Driver Over-Ear Headphone is. As I understand it this is not their first headphone though, the budget 1More MK801 takes that honor but this is on a very different level in terms of ambition. At $249 its planted firmly in the portable mid-fi range of on-ear headphones but with the twist of having not one, but three drivers in a hybrid design. It is not exactly multi-BA IEM level but it is relatively unique. By the way, I am not typing that name out every time I want to reference it, much too long. From here on in I dub thee ‘Triple Driver’ in the interests of brevity and the relative health of my finger-joints. 1MORE has always been a strong advocate of using “crossover appeal” in their product designs. The Triple Driver is rooted in both aspects of how I feel 1MORE see themselves. 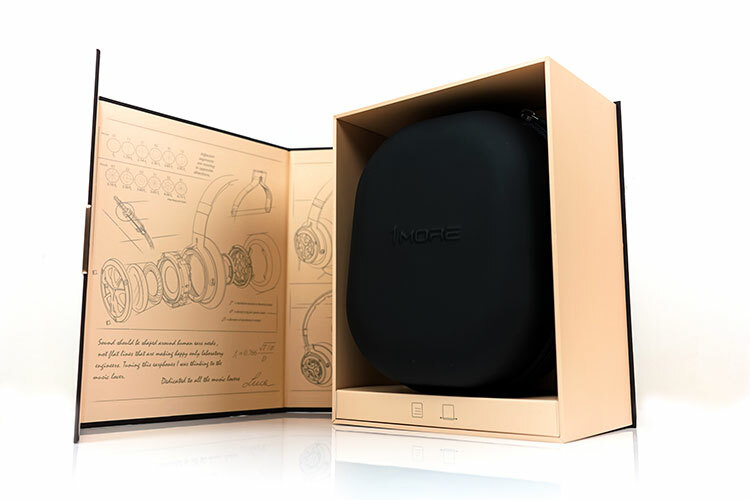 This is a headphone that is designed to be very durable for use on an everyday basis by almost anyone but in particular, they would like to think the more avid audiophile will enjoy its sound quality as well. If anything, there is a slight bias this time to the audiophile and 1MORE have taken steps to really pull in our grumpy niche persona and cast a ray of welcoming sunlight on it. Factors such as the tuning being done by Grammy® winning sound engineer, Luca Bignardi, and using multiple driver designs are good places to start. Luca Bignardi is an Italian sound engineer with a very long and successful career in the studio, particularly with Latina artists such as Laura Pausini, and Eros Ramazzotti, as well as the great Andrea Bocelli. The second aspect is the one that grabbed my attention and that was the use of three different types of drivers inside. Now, to date, I have only heard one other multi-driver headphone, the Final Pandora Hope IV and I had mixed thoughts on how well that BA and dynamic driver performed as a hybrid design. This is not quite the same architecture. 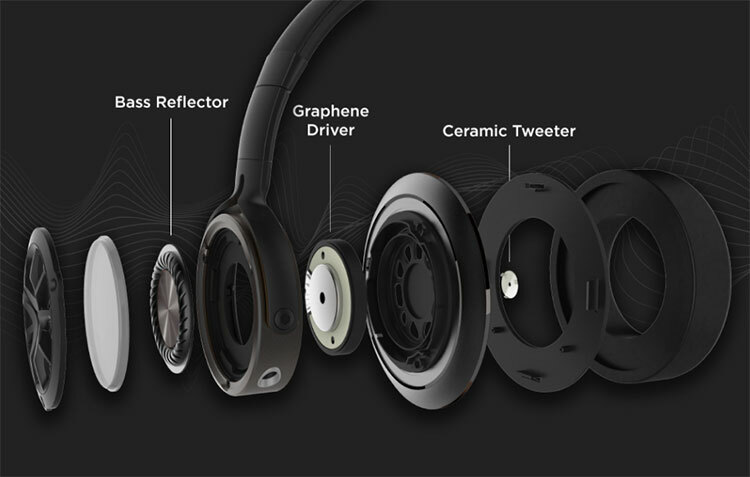 Inside the Triple Driver, you have a graphene-coated mylar driver, a ceramic plate tweeter, and a bass reflector. In a nutshell, the reflector and ceramic driver targets the extensions with the 40mm mylar driver being the main full-range driver. It sort of reminds me a little of the IMR Acoustics R1 and RHA’s CL1 and CL750 and how they deployed a ceramic hybrid with a main dynamic driver in their IEMs only without the bass reflector. The configuration is tweeter to the front, the graphene-coated mylar driver central and the bass reflector to the rear. 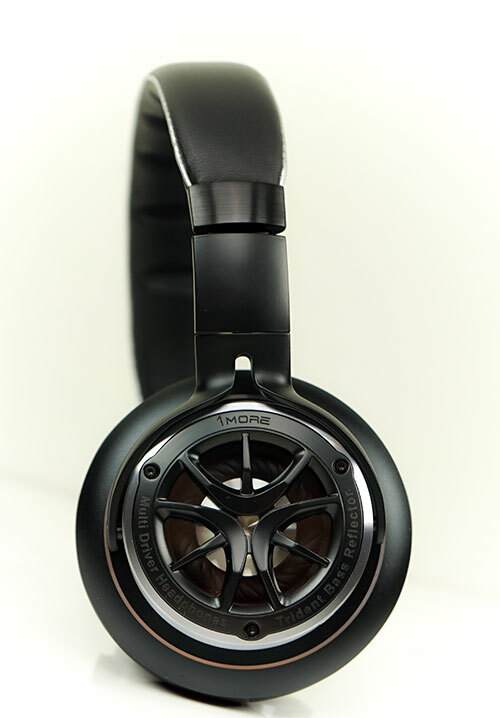 The pitch of this array and specific use of these drivers is headlined as being capable of producing a very accurate and large soundstage for a headphone of this size. I presume the mechanics behind that is the targeting of the uppermost frequencies with the tweeter combined with the reflector on the very low-end extension for good depth. 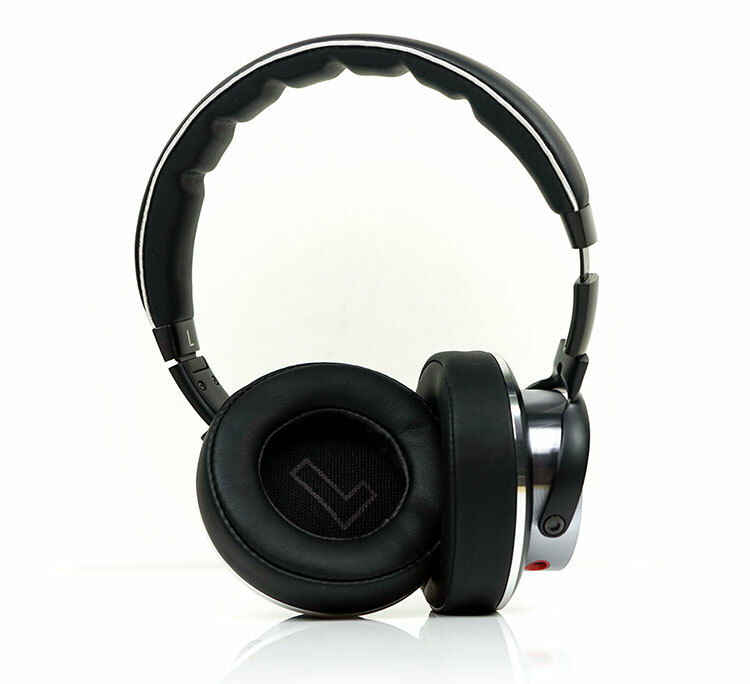 This is a beautifully designed portable headphone, a real head turner if you will. From a distance, you would think it is an open back design since you can see the drivers quite clearly. However, like the HD820 from Sennheiser, it has a clear plastic cover on top of the driver stack so it is a closed design. The front “spokes” and screwed in cup rim remind me a lot of alloys on a car wheel. 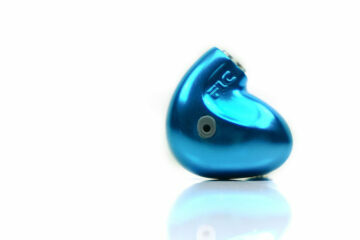 These are bold lines that stand out from the usual flat cup plates you may find on competing on-ear designs. The cup housing is made from a solid looking and very cleanly finished anodized aluminum material which is housed inside a hard plastic ring with a chrome accent on the outside. The headband and cups use the same protein leather materials wrapped around some internal memory foam so it is reasonably soft and comfortable on both the ears and head. The headband frame, gimbals, and screws into the cups are all made from aluminum. I cannot find a single creak or sound when manipulating the Triple Driver headphones frame and these are foldable headphones which make it all the more impressive. Yes, it can fold and in a few ways. The Triple Driver is being touted as a good choice for traveling so it needs to be relatively compact when on the go. The Triple Driver cannot fold flat but it does have a 45-degree swing capability so it is not rigid on the head. The hinge system does allow it to fold inwards on both sides and reduce its footprint substantially to fit inside its compact carry case. Sometimes you get a creak or two when folding but not the Triple Driver. Once again, the noise factor is zero when folding which I really like. The headband is also constructed with the same protein leather and internal memory foam as the pads and to be fair it does a good job in terms of comfort and fit. There are some grooves on the underside also to disperse any potential focused pressure points. The length adjusters are easy to work with and you should be able to find a length to fit most sizes of heads. The pressure balance on the Triple Driver is nicely balanced with not too much side to side clamping or excessive downward pressure on the top of the ears. I would consider the Triple Driver to be on the larger side of supraaural also. My ears do overlap with the foam of the pads but the pads foam does extend quite a bit beyond my ear also so the leakage levels are low enough. The protein leather pads are not detachable by the looks of things so look after them guys. They are not that deep also, not quite Oppo PM-3 levels but deeper than the old Meze 99 Classic pads which tended to allow your ear to touch the driver walls. Given the inner walls are not wide enough to allow your ear to fit inside fully I do not think you will have the same problem with the Triple Driver headphones. The protein leather material is comfy however and the memory foam used inside has a nice consistency against the ear meaning it is not too hard or uneven in how it settles. I really cannot see anyone having fatigue issues with these pads. Much better than I expected. Whilst not ANC or IEM level it did a good job with lower frequency attenuation and very little in the way of external noise leakage. Once you throw on some music most, if not all, background sound will fade away. The pads do a good job of holding a seal, even below the ear where it meets your neck it doesn’t have too much of a gap. Even during rapid head movement, I didn’t feel the seal was likely to break either so I think 1MORE have got the balance between clamp, pressure and seal just right for consumer and audiophile listening. I would suggest though this is not a DJ headphone for pure booth use. You would need a stronger clamp and some more lateral cup movement before I could recommend it for club use. 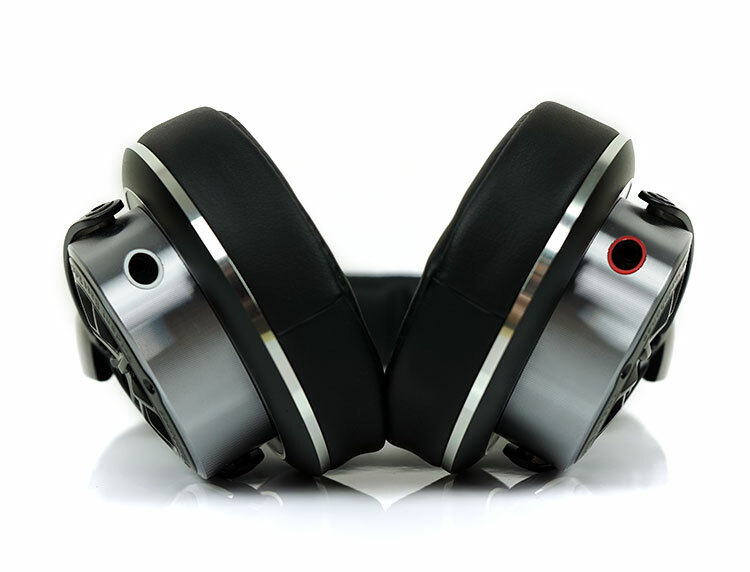 The 1MORE Triple Driver headphones use a dual entry detachable 2.5mm TRS jack system at the base of the cups. Personally, I would have loved to have seen a single-entry but perhaps the design didn’t mix well with trace wire through the band frame. The sockets are not screw-lock tight but they are recessed fairly well so I can’t see loose jacks being an issue unless you tug on them. The cable itself is a 1.35m OFC wire inside a nylon jacket that is very quiet and tangle -free during handling. You will find next to no microphonics traveling up this cable into the cups during quiet music passages. The jack is a 3.5mm TRRS straight jack with a plain jane black aluminum barrel and some short but decent looking strain relief in the shape of a rubber tube. 1MORE has seen fit to include a gold-plated quarter jack converter as an additional accessory with the Triple Driver headphones. The Y-Split is made from much the same material as the jack barrel as are the TRS connector barrels. Again, I would have preferred to see a right-angle jack on this and perhaps they missed a trick by forgetting to brand the barrel with their logo. Also, since this is a travel headphone and a fairly easy one to drive I am surprised there is no remote mic and playback in-line module on this cable. Jeese, Mike was kidding in his last review at just how nice the packaging is for 1MORE products. This is a well put together visual treat with aesthetics that punch way above its $249 price point. It puts the likes of plastic specialists, Audio Technica, to shame. It has a few layers to get into but each layer is nicely finished with an excellent sketch of the design of the Triple Drivers headphones on a fold-out lid and the carry case on full display when opened. The case itself is neat and tidy with a nice contoured tray on the inside to hold the Triple Driver headphones in their folded position. This is a semi-stiffened soft curved zip case. I would rate it as fairly small, not V-Moda M80 small. It just right to fit in a carry-on bag without taking up too much space. There is a mesh canopy on the inside of the lid to hold the cable and quarter jack accessories that are also supplied in the box. I bought them based on many reviews along a Fiio Q1 mk2 dac/amp… i’m so glad i fell for the reviews. Definitely file a diplomatic protest! Ah, so they just count 1MORE driver to the actual number of drivers in the product! Naughty cheaters!! Because the reason I stated that is because it is called 1MORE Triple Driver over ear headphones. I just think a reviewer should know that and mention it. Maybe you even did and I overlooked it. Have you spoken to 1MORE about that? A passive bass reflector isn’t a driver. This is therefore a 2 driver headphone.